A Literary Odyssey: Book 34: Mrs. Dalloway. Reading anything by Virginia Woolf is an experience. I think she is probably one of the most difficult writers to understand and like for people who have never been exposed to her. She has a unique style that is almost off-putting the first time you read her writing. I think that throws many people off and they never return to her work. I first read Virginia Woolf way back in high school. For fun, I decided to pick up a copy of The Waves since it was one of the favorite books of one of my English teachers. She raved about the language and the beauty of Woolf's writing (I feel I should also point out that this teacher also introduced me to Walt Whitman, who is my favorite poet, ever). I ended up reading The Waves over the course of a few weeks. I found it difficult, confusing, frustrating, and beautiful. Even though I was probably only 15 or so when I read it, I knew that I was reading something truly powerful. I loved her narrative voice and the power of her story. I have reread The Waves numerous times since then and I have loved it every time. I think, no matter what, it will always remain my favorite piece of Woolf. In college, none of my English classes required us to read any more of her longer work. I picked up a few here and there on my own to get some more exposure, but I always felt like I was missing something. I know that for many first-time Woolf readers, her works appear to be confusing and all over the place. I was just missing a piece of perspective. In order to graduate, I had to take a class in the 480 level range. Since I had a lot of classes that conflicted, I was left taking a literary theory class my last semester in college. It was quite honestly the HARDEST class I have ever taken. We had this monster of a book filled with columns and columns of critiques. We read everything from Plato and Aristotle to Nietzsche and Emerson. I always left class with a throbbing headache. Somewhere in the middle we read a few of Woolf's essays and everything clicked into perspective for me. Why she writes the way she does, the power of what she was trying to accomplish in her work. It was inspiring and is the reason I remain a huge fan of Virginia Woolf. One of the things I also learned is that you learn to love her even more with each reading of her work. This will be my third reading of Mrs. Dalloway and I hope to take even more away this time about this marvelous author. Ohhh, Allie's not afraid of Virginia Woolf! Have a great week, and I think your classic reading goal is incredibly inspiring! I think you are so right about Virginia Woolf. The first time I read her work - I was totally confused but equally impressed - not just by the complexity but by the elegance of the language and the idea that she is saying things in a different way to what we are used to. Now that i have had time to digest it, I actually prefer her letters and autobiographical writings - there is a collection called "moments of being" which is fantastic. Also - her letters are hilarious - she must have been a wonderful coreespondent. I like your story about the 480 class in college and how Virginia Woolf's writings finally clicked with you. That moment of clarity can be exhilarating! 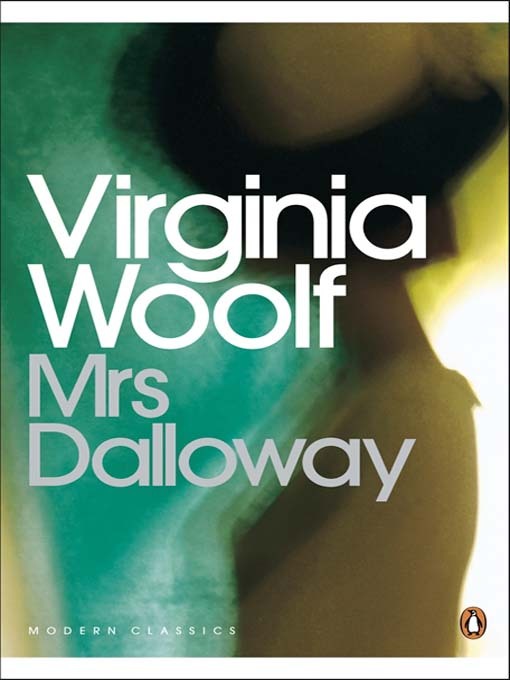 I hope you'll share some of your insights into Mrs Dalloway & Virginia Woolf! I have never read anything by Virginia wolf but I have always wanted to. Now you make me feel a bit nervous about the challenge I would be setting myself!